Secondary glazing has stood the test of time and still proves to be one of the best forms of protection for homes, public and private sector buildings and industrial units against heat loss, draught and noise intrusion. Our system may also be used for other various bespoke applications such as wardrobe doors, hatchways and cabinet displays. Our secondary windows can be adapted into a fly screen. There are a number of window designs to choose from to help suit existing window and door setups. These tailor made units are made to exact specifications and combining the highly efficient sealing qualities makes our system the obvious choice, ensuring a perfect finish. All windows in our range are aesthetically designed to be streamlined, seamless and contemporary, blending unobtrusively thus complimenting existing windows, doors and interiors. Each design shares distinct characteristics so when combining different windows i.e. a slide unit with a lift out unit, the two will blend to form a complete look. Arched and shaped units are also available for more challenging, architectural and creative window installations. We stock a range of colours including White, Van Dyke Brown and Silver Anodised with a further 200 other colours available on request. (Note: Customised colours incur a surcharge and extended lead-time). 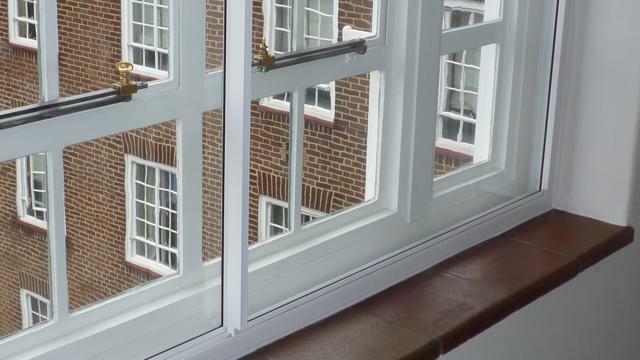 We have one of the broadest ranges of Secondary Glazing in the UK, which we have been manufacturing since 1985. For more information please contact us or click the following link to download our PDF Brochure.